These Workshop has limited space. We will be accepting 8 students per class. The Well-Being Workshop is a wonderful way for brand new or experienced students to explore the practices of yoga, mindfulness and meditation with clear instructor guidance. Open for everyone, all welcome: modifications offered for you to do the yoga that is best for you on the given day – a variety of options and inspiration for what is possible. No prior experience is necessary. An open mind with a desire to be in the moment is all that is required. 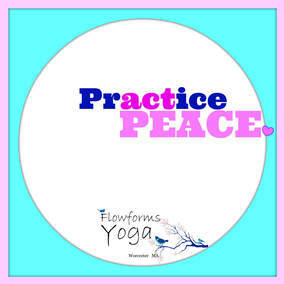 Start your weekend of right by unwinding and rejuvenating yourself with yogic relaxation, restoration, and meditation. This workshop will help you release stress from the mind, body, and breath. We will explore a range of deep stretches and long relaxing postures on the mat, followed by a guided singing bowl meditation, and full savasana (integration and rest). Healing touch is also offered to students during the practice. Restorative yoga can help with anxiety, depression, pain, and stress. This workshop will guide and teach you how to calm the body and mind through intentional movement and breath to deepen your state of relaxation and bliss. Been curious about yoga? Wondered what all the benefits to meditation are and how to practice? Yearning for a moment to stop the hum of modern life? If you answered yes to any of these questions then this workshop is for you! Take action to make yoga, mindfulness and mediation part of your life. Experience it for yourself. Do it for your well-being.